Denver Intl. - Minneapolis - St. Paul Intl. Dallas-Fort Worth Intl. - Minneapolis - St. Paul Intl. Sky Harbor Intl. - Minneapolis - St. Paul Intl. Sometimes the best things come in pairs. Salt and pepper are the perfect combo when your taste buds crave a kick, and butter and syrup team up to make your Saturday morning pancakes a divine start to the weekend. When you’re going on an adventure, wise wanderer, you like to know that a complementary pair of destinations awaits. Welcome to the Twin Cities of Minneapolis and St. Paul, where a rich artistic community shares the landscape with technology companies and a boatload of boat launches. It’s the best of all worlds, including a set of extreme seasons. If you visit in the summer, sunshine and glistening lakes await. Winter vacations afford the opportunity to experience a proper winter and cross country ski to your heart’s content. Vacations in Minneapolis are the perfect blend of small town charm and big city amenities. And when you book your trip package on Travelocity, the savings are nice. Minnesota nice, you might say. Minneapolis vacations give you window into the best of lakeside living and a community that embraces art and culture. The only thing more important than finding all the best things to do is having a fantastic place to stay. 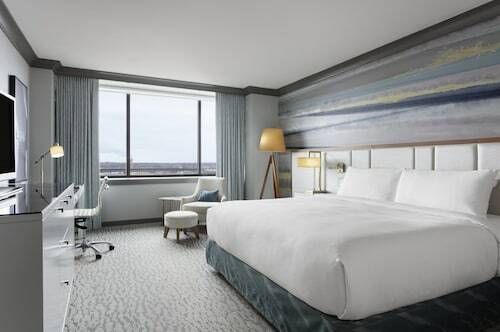 Book one of these hotels as a part of your vacation package in Minneapolis, MN, and your getaway is bound to be relaxing. Radisson Bloomington by Mall of America: This hotel is just a ½ mile from the biggest mall in the country, and connected to the Water Park of America. Get your kicks on an indoor water slide and then grab dinner without having to leave the property. 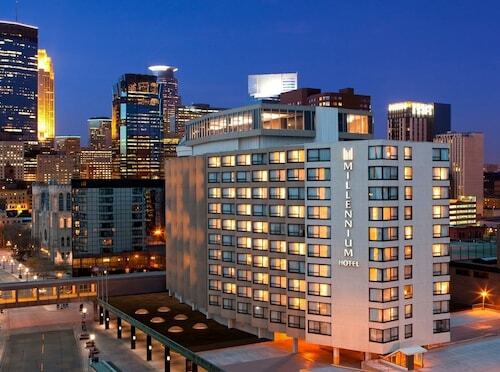 Hilton Minneapolis: Upscale design and a spectacular location make this hotel a winner. You’ll be connected via Skyway to the convention center, and an indoor swimming pool means you can take a dip even when its well below freezing outside. Best Western Plus Bloomington Hotel: Just across the street from the Mall of America, this hotel is in a prime location for avid shoppers. 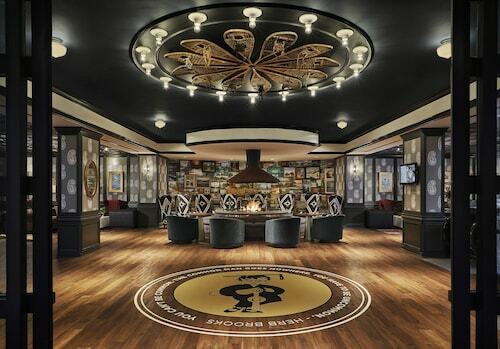 It also has an indoor water park and sophisticated décor. After a long day, cuddle up in front of your private fireplace and sip on cocoa. Best Western Plus The Normandy Inn & Suites: When you’re headed to one of the sporting events downtown or gearing up for a concert at Target Center, this hotel is an excellent choice. 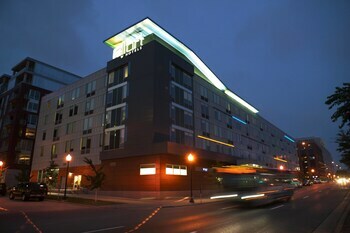 Steps from the Warehouse Entertainment District, the hotel makes downtown Minneapolis your personal playground. Seekers of retail therapy can tell you why they visit Minneapolis in three words: Mall of America. Not only is MOA one of the world's most popular tourist destinations, it's also home to Nickelodeon Universe, the country's biggest indoor theme park. This must-visit destination is in Bloomington, about 15 minutes from downtown. A massive mall isn’t the only place to spend your savings on a cheap vacation in Minneapolis. No, wise wanderer, you can also quench your creative thirst and savor the great outdoors during your time in either of the Twin Cities. Check out the Walker Art Gallery and Minneapolis Institute of Art, and then explore the mysteries of the universe at the Science Museum of Minnesota. 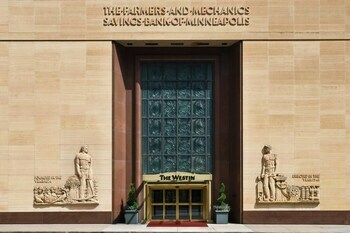 Make sure you view the skyline from the unique vantage point of a glass skyway; Minneapolis has more than 7 miles of them. They're a great way to get around during bone-chilling winter months, plus they house all manner of attractions, year-round. Finally, you can't visit "The City of Lakes" without dipping your toes in a body of fresh water or going ice fishing. Lake Harriet, Lake Calhoun, and Lake Nokomis are local favorites. Minneapolis package deals can deliver you to the Twin Cities just in time for your favorite festival. Consider showing up during the Minnesota State Fair, the largest state fair in the country. For two glorious weeks in late summer, you can binge on fried foods and ride carnival attractions or see live music. Another big draw is the Twin Cities Pride festival and parade, usually held in late June. Foodies will love the authentic cuisine and entertainment of the St. George Greek Festival in September. Book one of our vacation packages in Minneapolis today, wise wanderer, and soon you’ll be gazing out across crystalline lakes or admiring the Spoonbridge and Cherry in the Minneapolis Sculpture Garden. Whether you’re in Minnesota during the summer or winter, the city welcomes you with open arms to explore its world and ignite your senses. Bloomington's top attraction, the Mall of America, is not your regular mall (understatement of the century). And there's outdoorsy fun galore on offer in this Midwest gem of a city, too.